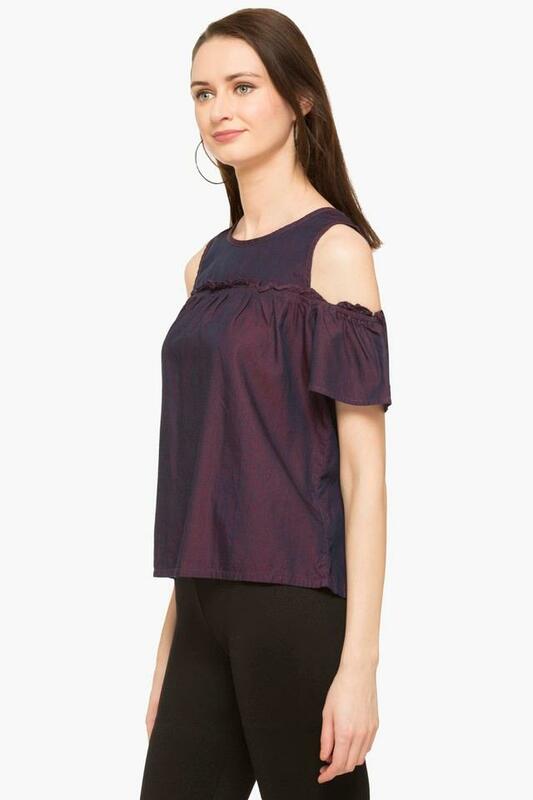 Give your fashion the flight of fancy by wearing this top from RS by Rocky Star. It comes in a slub pattern that lends it a classy look, while the keyhole back and cold shoulder sleeves mark its design quite distinctive. It also boasts a refined finish owing to the use of a superior quality fabric in its tailoring. 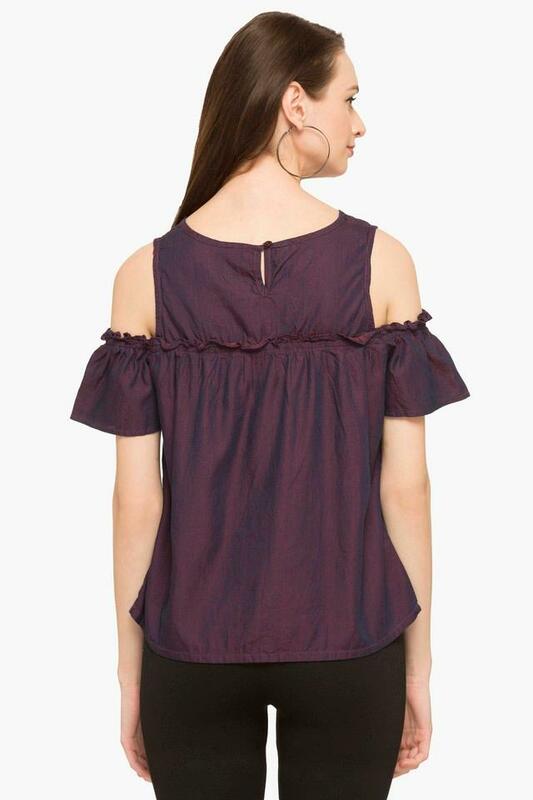 An admirer of classy fashion will surely give in to the distinct charm of this slub top. For any casual occasion, team it with a pair of shorts and sneakers to go beyond the predictable.